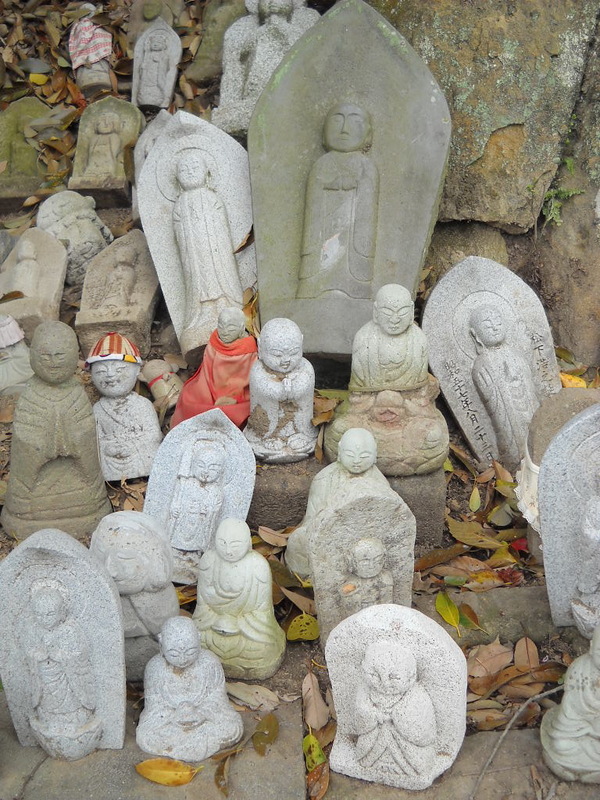 Sentai Jizou 千体地蔵 means "1,000 jizo statues." I have written earlier, in the post about Noda City Museum on 28 August, about the value of 1,000 in Japan. 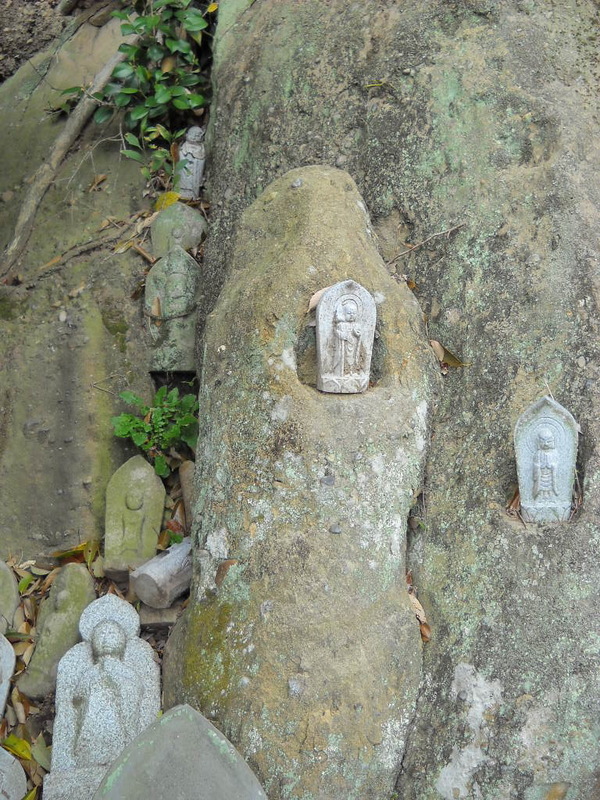 It may be "a large number" instead of exactly 1,000. 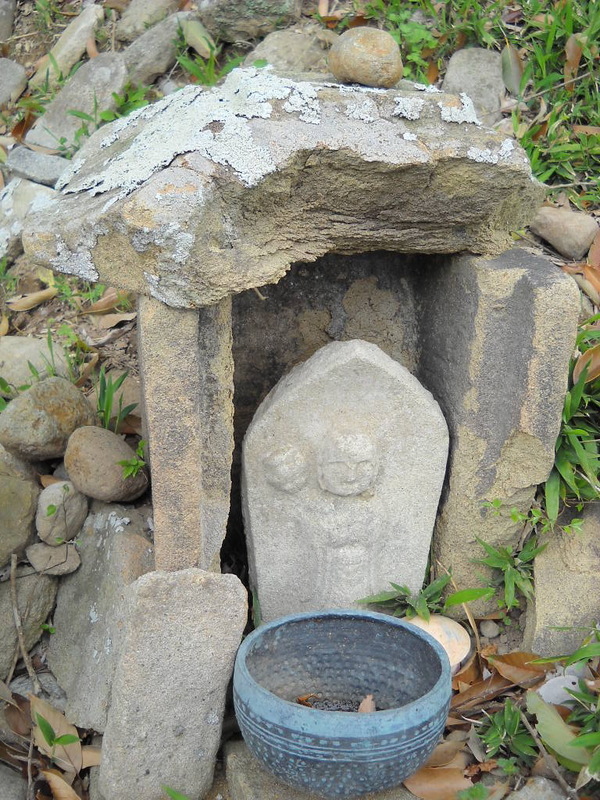 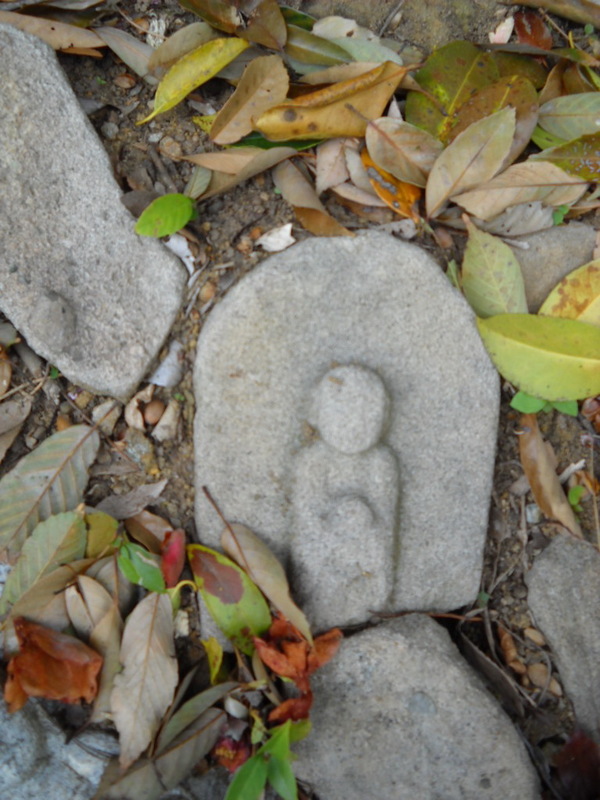 Jizo is a protector of the travellers, placed along the roads. 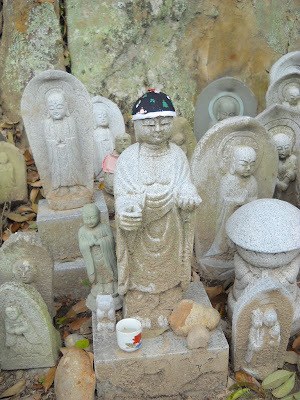 And also a protector of children. 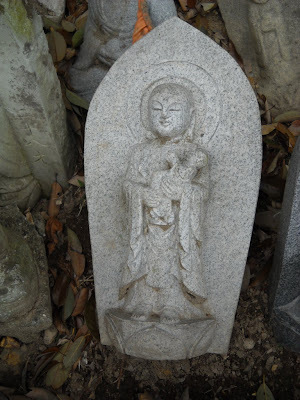 They take care of the souls of unborn children and children who died at a young age. 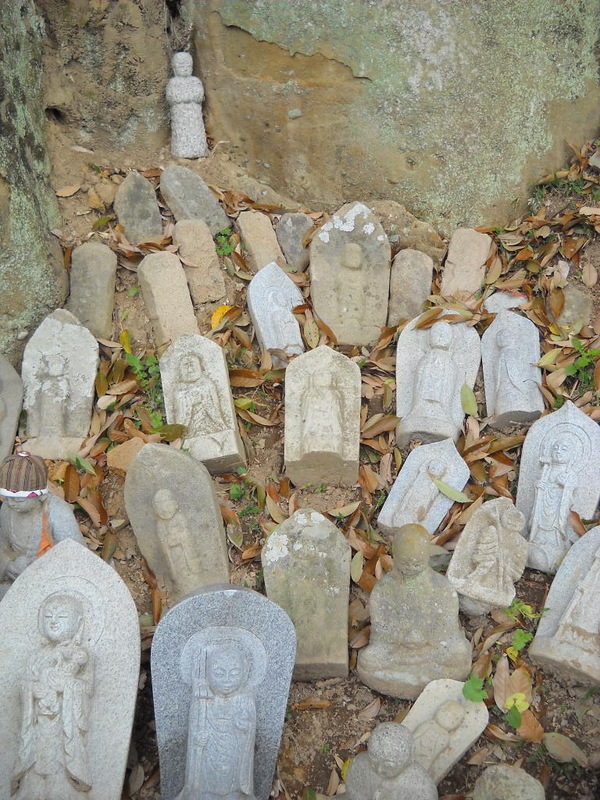 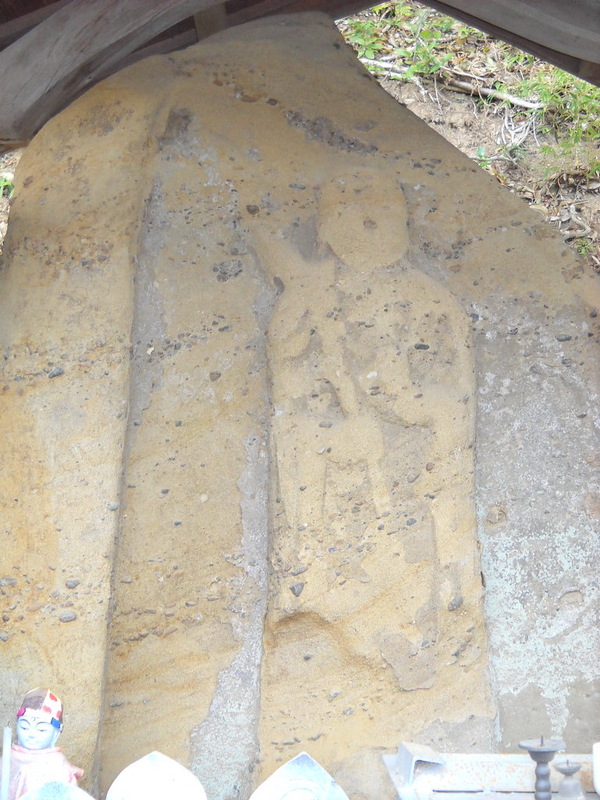 The souls of these children go to a place called sai no kawara, where they must pile stones. The stone towers are destroyed by demons every night, so they have to start again the work on the next day, as in the myth of Sisyphus. 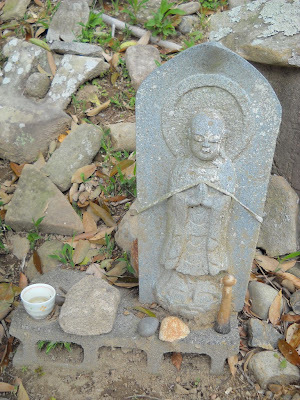 Even sai no kawara 賽の河原 means futile effort. 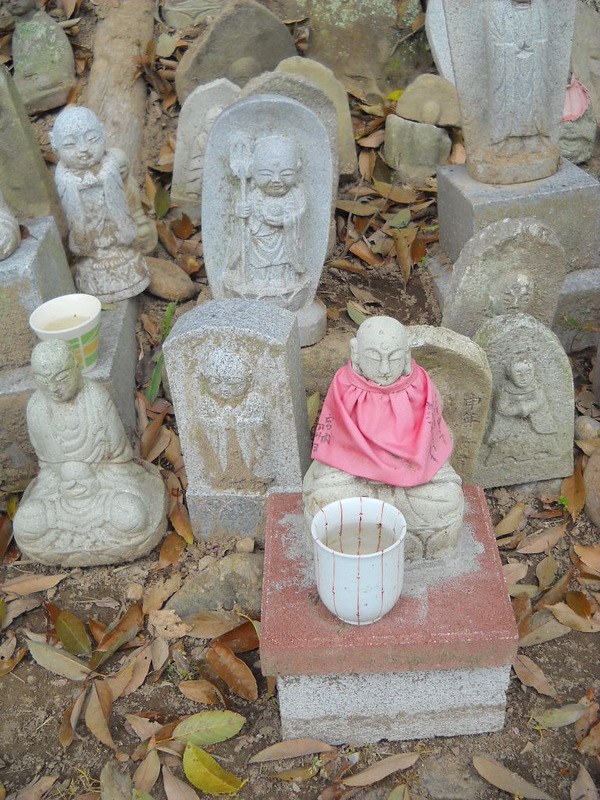 Sweets, toys and flowers are offerings placed near the jizo statues. 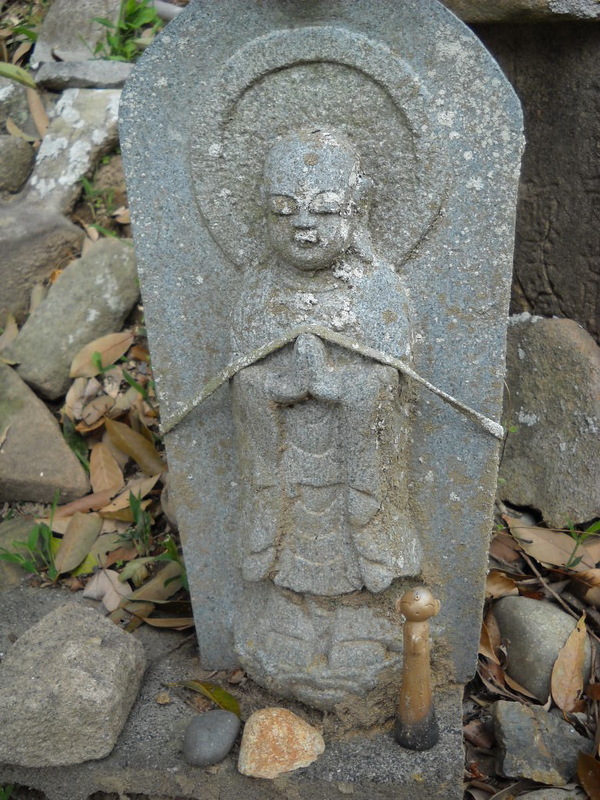 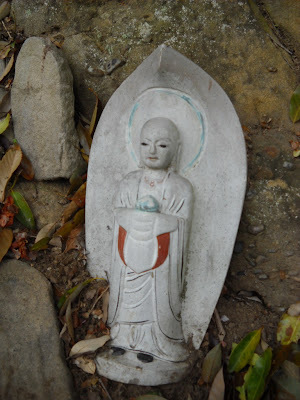 Women pray to jizo even for each childbirth and fertility. Some jizo wear clothes, and a red cap that used to be worn by children in the past. 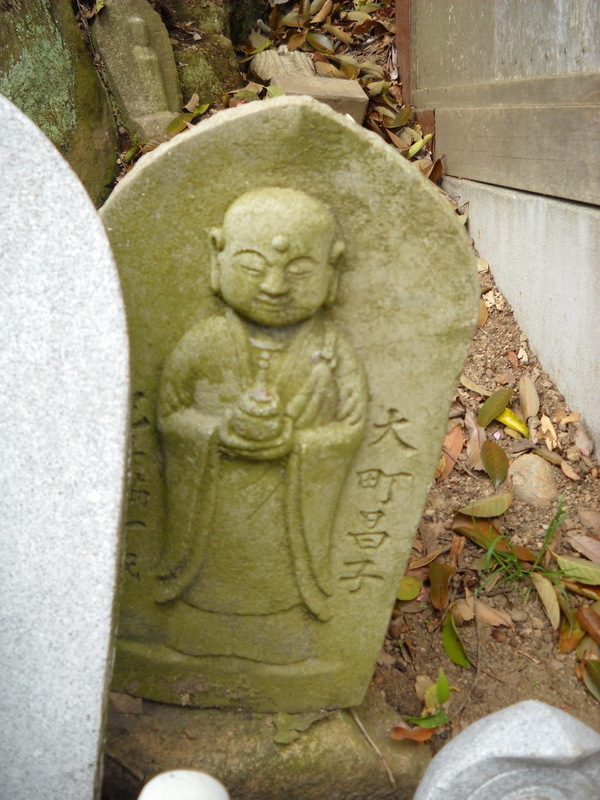 Jizo is a Buddhist monk, a bodhisattva, called Kshitigarbha - the Earth Womb/Treasury - in Sanskrit. These are Sentai Jizo on the bank of Otani river.